Today, November 1st, marks the second day in the three day Latin American holiday Dia de los Muertos which honours the dead with festivals and lively celebrations. 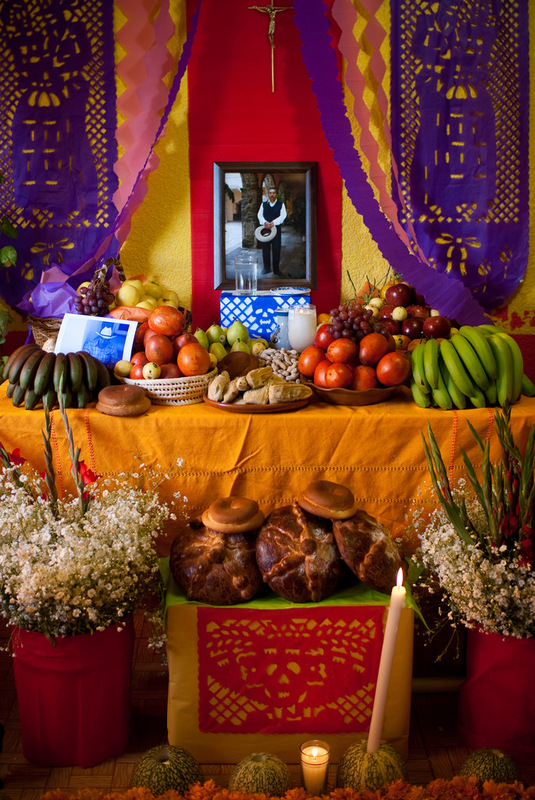 The customs combine indigenous Aztec rituals with those of the Catholic holiday All Saints Day or All Souls Day. Dia de los Muetos celebrates the lives of the deceased with food, drinks, parties and activities the dead enjoyed in life. This holiday, celebrated in many Latin American countries but nowhere to the extent as it is in Mexico, is a joyous and sacred time, a time to welcome the souls of the dead. It is a celebration where the living and the dead are joined if even for a short while. One of the most iconic symbols of Dia de los Muertos are the calacas and calaveras, brightly coloured skeletons and skulls. Skulls are constructed out of sugar and presented on ‘ofrendas’ which are altars that are constructed within the home in anticipation of the arrival of the spirits. Another unique tradition is ‘pan de muerto’ or bread of the dead which is a type of sweet roll that is decorated with bone shapes in a circle to portray the circle of life. On the evening of November 2nd, families gather in their local graveyard all night to visit with the souls. Family members’ graves are decorated with candles, marigold flowers and food. 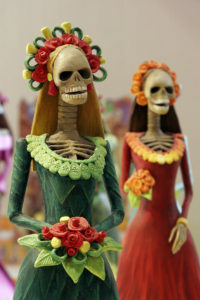 Unlike the spooky connotations of Halloween, Día de los Muertos is a bright, cheerful celebration. 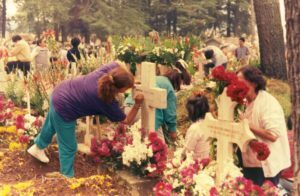 November 1: All Saints Day ~ ‘él Dia de los Innocentes’ – Honour deceased infants and children; los angelitos(spirits of dead children) come back for a visit. 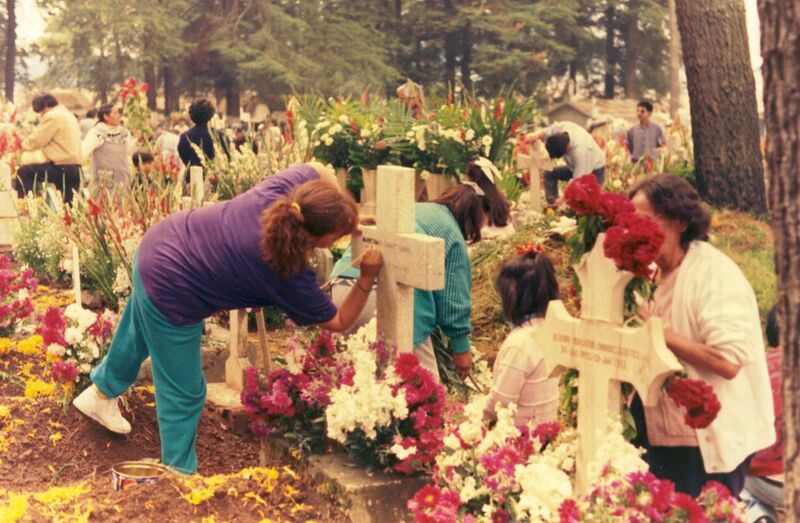 November 2: All Souls Day ~ ‘Dia de los Muertos’ – Honour deceased adults; families go to the cemetery to decorate the graves and tombs of their relatives.